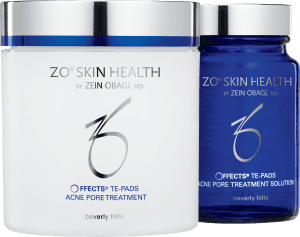 Dr Zein Obaji has a history of advancing the science of skincare. 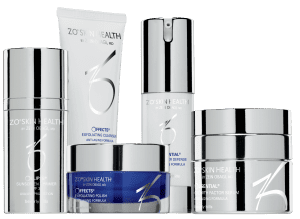 ZO Medical Therapeutic solutions and ZO Skin Health daily and preventative skincare products feature unique deilvery systems, bioengineered complexes and exclusive formulations. These solutions allow every patient – regardless of skin type, gender or age – to achieve continuously health skin. 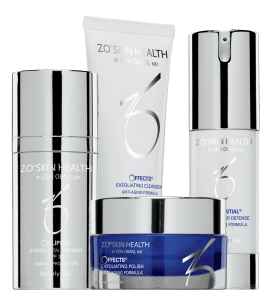 As ZO Skin Health caters for every patient the range of products is extensive. 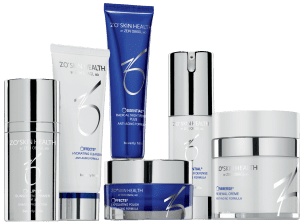 Below we have listed the most popular ZO Skin Health products purchased at Clinetix Rejuvenation. Your first line of defence against the natural ageing process. This kit is an ideal entrance programme for those looking to introduce a new skincare regime into their daily routine. A moderate treatment for the reduction of early or significant signs of environmental and chronological ageing. Phase II will help reduce the appearance of fine lines and wrinkles, promote a more even-looking skin tone and finer pore appearance. An aggressive treatment for deeper lines and wrinkles, hyper-pigmentation (age spots, sun damage) and thinning skin. The Phase III programme will help to reduce the appearance of deeper lines and wrinkles, minimise the appearance of hyperpigmentation and age spots and promote a more even-looking skin tone. A lightweight lotion designed to help protect and repair all skin types. A must for everyone. Daily Power Defence (or DPD for short) promotes skin health, provides antioxidant protection to combat free radical damage and helps to tighten and firm the skin. DPD also helps support skin’s natural mechanism to repair damage and protect against future skin damage. Offects Exfoliating Cleanser gently exfoliates normal to oily skin. This exfoliating cleanser helps to calm and soothe irritated skin, remove surface oils and impurities whilst removing dead skin cells to help unclog pores. A daily leave-on treatment that helps target excess oiliness and help decrease breakouts on the skin. Complexion Renewal Pads (formerly TE-Pads) are ideal for acne prone skin as they will reduce oiliness to help control acne and provide a clearer complexion. Complexion Renewal Pads has dual action exfoliation removes dead skin cells to prevent clogged pores and also calms and soothes irritated skin. 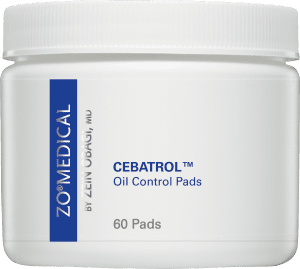 Oil Control pads (formerly Cebatrol) are an invigorating acne prevention solution designed to be used with a complementary acne treatment programme. Oil Control pads will remove oil, normalise pore size, help to smooth out the skin’s surface and reduce irritation. Oil Control pads will effectively remove dead skin cells, help target breakouts and remove dirt and oil from pores. Ultra-fine magnesium crystals exfoliate dead skin cells (for all skin types) and increase epidermal turnover for a cleaner, smoother, more even-toned complexion. Physical exfoliation with magnesium crystals provides at-home benefits of microdermabrasion. Hydrates and rejuvenates without disrupting the skin’s moisture barrier, ideal for normal to dry skin types. This hydrating cleanser helps retain moisture during the cleansing process whilst removing dirt, oil and makeup without leaving a residue. The hydrating cleanser also has soothing and calming properties. Growth Factor is a lightweight gel that helps strengthen skin, supports skin repair and protects against future signs of ageing. This serum will help reduce the appearance of expression lines and lines and wrinkles. Growth factor also strengthens weak skin, minimises irritation, restores hydration and enforces the skin’s protective barrier.